If you love the colour blue, then Lapis Lazuli is certainly worth checking out. 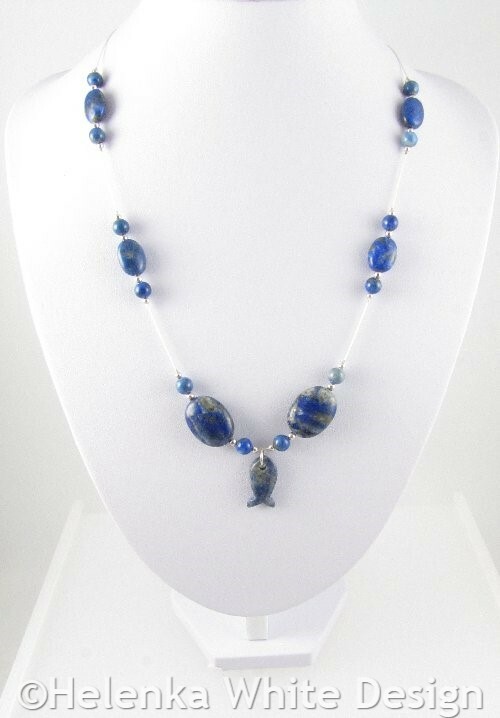 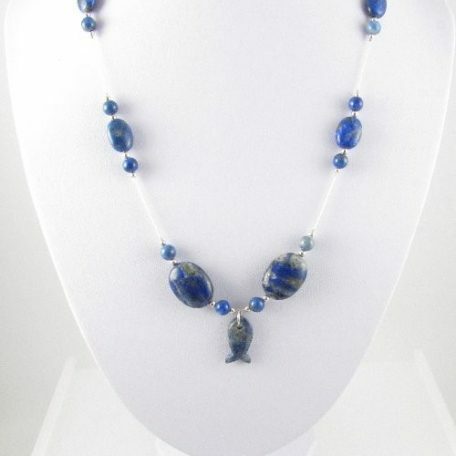 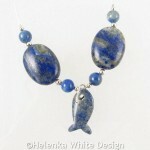 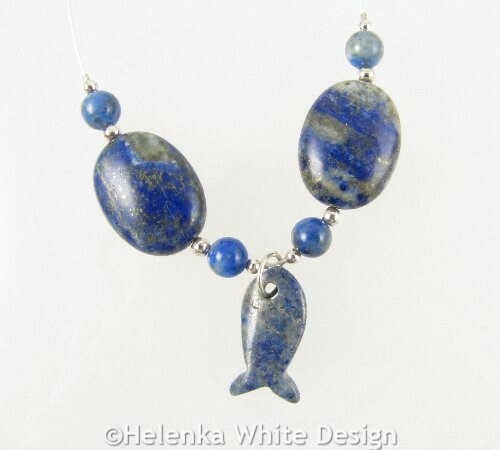 And if you like lightweight and unique designs and fish, then you will love this Lapis Lazuli necklace. 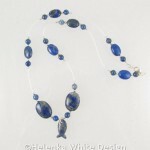 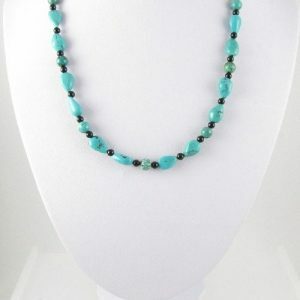 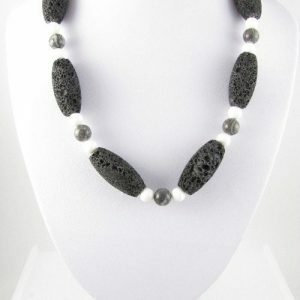 Length: The necklace is about 20,5 inches or 52cm long. 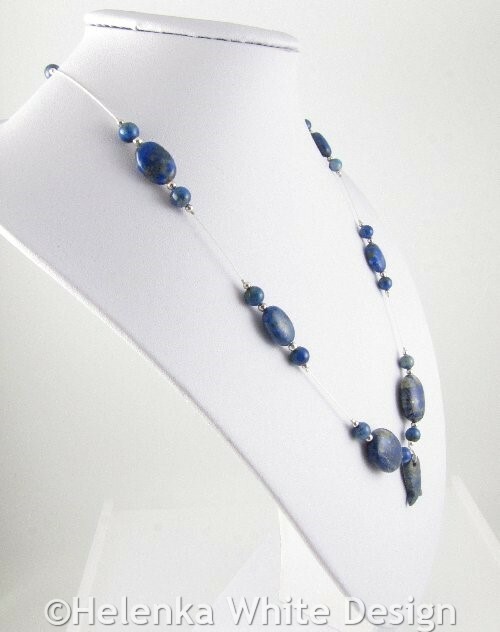 Handcrafted Labradorite earrings. 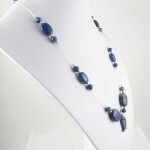 Made with Labradorite beads, Sterling silver beads and ear wires. 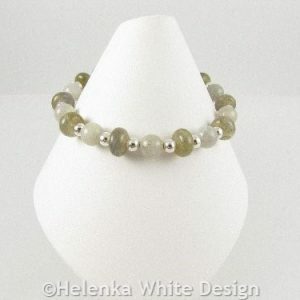 Handcrafted Labradorite bracelet with light coloured Labradorite beads and rondelles, Sterling silver beads and a flat Sterling silver lobster clasp. 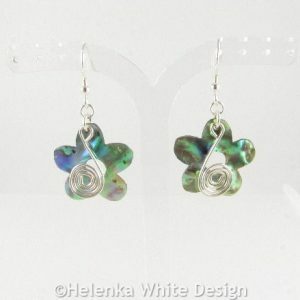 Paua Shell flower earrings handcrafted ith Paua Shell flower charms, Sterling silver wire and Sterling silver ear wires. 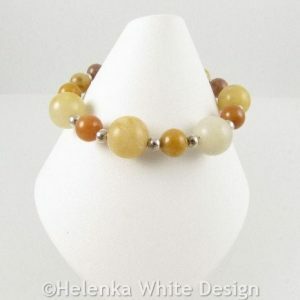 Handcrafted Honey Jade bracelet with Honey Jade beads, Sterling silver beads and a 11mm flat Sterling Silver lobster clasp. 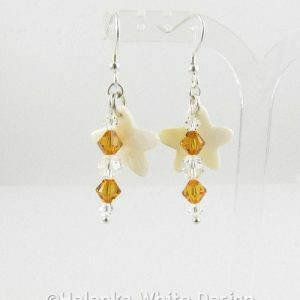 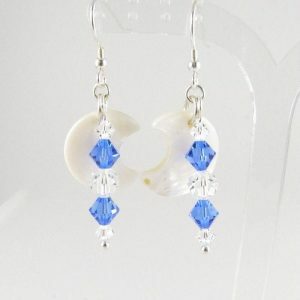 Handcrafted Mother-of-pearl moon earrings made with Mother-of-Pearl moon charms, Swarovski crystals and Sterling silver ear wires.